“For you are beloved.” Could there be any words from God more welcome than these? Daniel was in exile in Babylon as a result of his nation’s utter defeat by the Babylonians. He desperately wanted to make sense of his circumstances. So he did what he had done so many times before: he prayed. God immediately dispatched the angel Gabriel. Gabriel revealed that God had sent him to Daniel at the beginning of his supplications. God did not even wait for Daniel to finish his prayer. Why? Because God loved Daniel greatly. What a marvelous testimony! There had been times when Daniel’s love for God had been put to the test. Now, when Daniel was in need, God was quick to respond in love to him. God wants to answer the prayers of those whose hearts are completely His (2 Chron. 16:9). 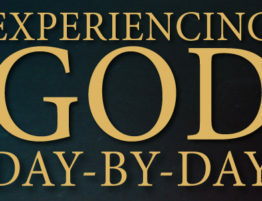 God can accurately orient you to the events of your day. Media, public opinion, and political leaders cannot tell you the truth of your circumstances. Only God can. God loves you and will speak to you in His time. His answer may come immediately as it did in Daniel’s case, or it may be delayed, but it will come (Dan. 10:13). If it seems as though everything is crumbling around you, and you wonder why you do not see God’s activity, take comfort in knowing that you are loved in heaven. If you are genuinely seeking God’s answers, you can go to your Father confidently with your questions. He will respond to you in love (Luke 11:5-13).